As we enjoyed our journey Around the World in 12 Dishes very much, we thought we would take part once more! So this time we start with our neighbours- Ireland. We printed out a couple of passports and placemats and had lots of fun exploring Ireland together. Colcannon is a side dish but we decided to have it as a main course. 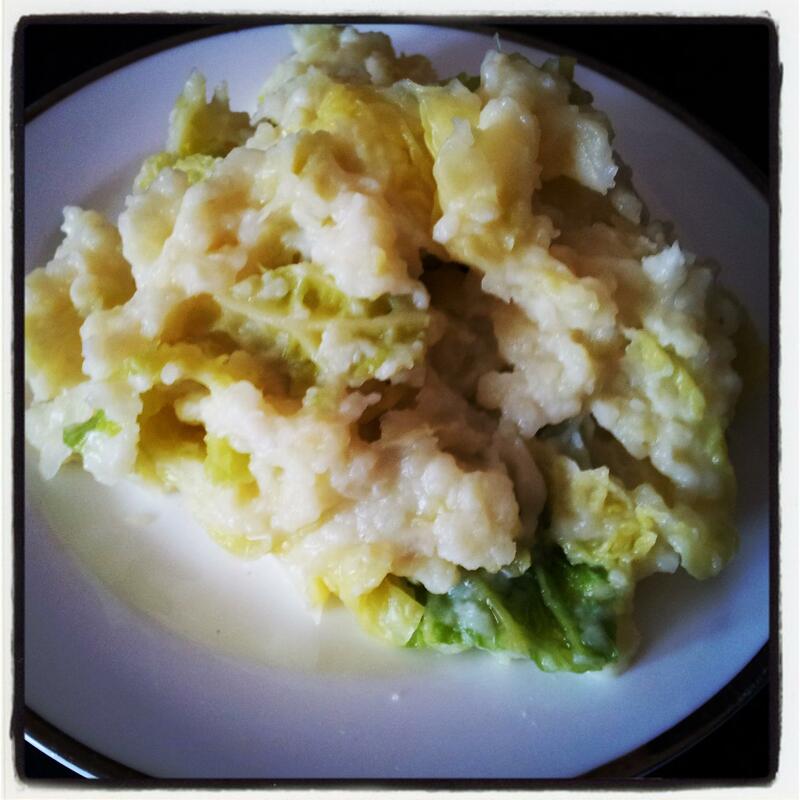 Colcannon is very similar to the British Bubble and Squeak, although the recipe varies a bit. So this is what we did: We took about 3 cups of finely chopped (or shredded) cabbage, 6-7 seven cooked and mashed potatoes, 1 onion finely chopped, ¼ cup milk, ¼ cup water, ¼ cup butter, salt and pepper to taste. Lil Mermaid helped me chop the cabbage. I then put the cabbage and onion in a saucepan with water and brought it to the boil. Then reduced the heat, covered the saucepan and let it simmer for 8 minutes until the cabbage was tender. Now it was time to add the mashed potatoes, milk, butter, salt and pepper. We mixed them together and there it was. Our simple yet very hearty dish was ready! Whilst chopping the cabbage Lil Mermaid decided to try some too. She is not normally much of a cabbage fan, but now she decided she liked it after all. Adventures In Mommydom, Creative Family Fun, Domestic Goddesque, Enchanted Homeschooling Mom, Glittering Muffins, Here Come The Girls, Juggling with Kids, Kid World Citizen, Kitchen Counter Chronicles, Little Artists, Mermaids’ Makings, Montessori Tidbits, Mummymummymum and The Educators’ Spin On It. 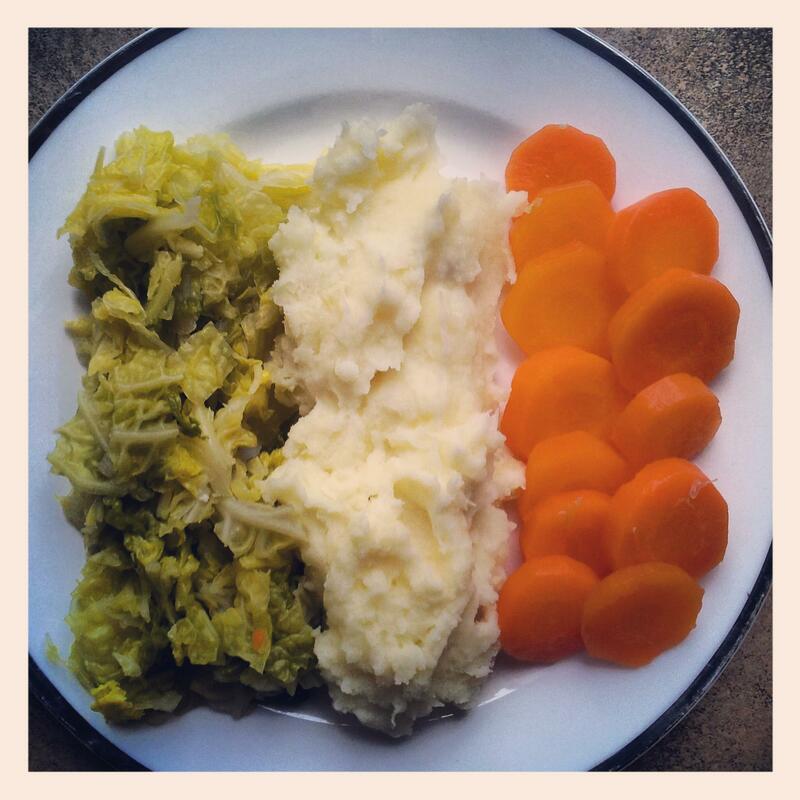 Please link up your Irish dish and/or craft in our linky below, we would love to see it! Love the flag too! Colcannon is on my to-do list next! I loved this post!!! First the colcannon looked wonderfully delicious- my friend says it is very popular in the south of Ireland! Then I absolutely loved the Irish flag:)- that is the cutest thing. I will be making that for my kiddos! Nice, I love the creative flag plate :) Thanks for participating again. This entry was posted on March 11, 2013 by mermaid in challenges.